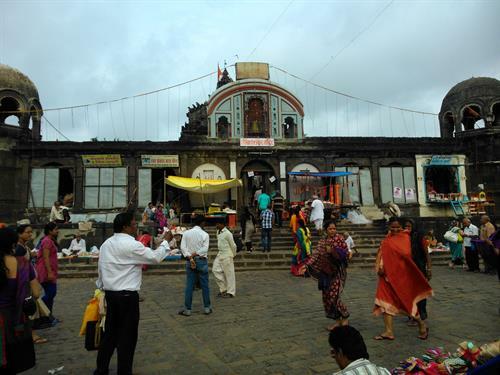 Nasik is also known as "City of pilgrims" as it is blessed with numerous religious spots where thousands of tourists drop by every year to have a look on those pious places. Also Nasik holds a significant value as it is one of the four places where religious festival Kumbhmela celebration takes place. It occurs once in every 12 years at Nasik. I was lucky enough to explore this Kumbhmela held this year at Nasik. Kumbhmela is a religious festival celebrated in Nasik once in 12 years at the banks of sacred Godavari river. Last it was held in the year 2003 at Nasik. 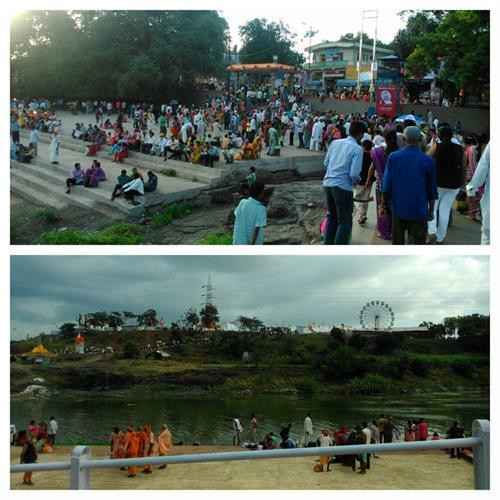 Millions of pilgrims including sages visit Nasik to have a plunge of devotion into the Godavari river. This year i.e. 2015 Kumbhmela commenced on 14 July, will remain for almost a year and end by 11th August 2016. There are several major events which occur in this great celebration like Flag hoisting and Shahi Snan. These days are fully crowded of sages and other devotees. Everyone wants to witness it and wants to take a plunge into the sacred Godavari river that day. Panchvati, Trambakeshwar and Tapovan play an important role during Kumbhmela. As I mentioned Kumbh celebration takes place on the banks of Godavari river therefore it occurs at Kushwart in Trambakeshwar and Ramkund in Panchvati. 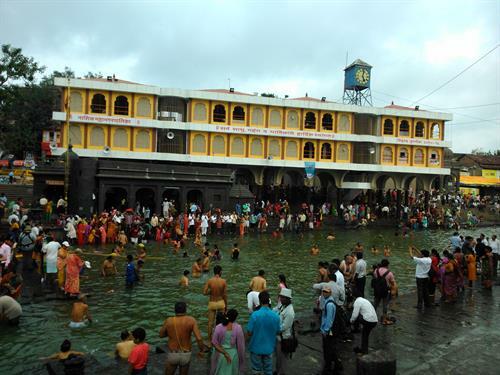 Godavari originates from Brahmagiri Hill in Trambakeshwar, and flowing underground emerges at Kushawart, hence Kushawart is meant to have holy dip during Kumbh. This river again emerges at Ramkund in Panchvati which is considered pious and significant with the reason that Lord Ram had bathed here during his exile period. Tapovan provides accommodation to all sages coming to take a holy dip in Ramkund. I visited Nasik Kumbhmela few days back with my family, it was an interesting and different experience. I am a localite from Nasik. First we found about the crowd attending Kumbhmela then we chose to visit this place when crowd was not much and we were comfortable enough to explore it. First we went to the Tapovan and then Panchvati. This trip can be easily completed within a day. This is the place where Laxman did penance during 14 years of exile and here only he cut nose of Surpanakha. Located at a distance of about 12 kms from Nasik road railway station, well connected by transport and easily accessible. Direct buses and auto-rickshaws are available. During Kumbhmela, all Sages stay here. We saw few of the Akhadas; it takes a lot of time to peek into each and every Akhada. Sermons were being preached at some of them on the loudspeaker. Many small vendors gather here to make business. Most of them were residing in the garden area of Tapovan. A small fair held at an elevation (it looks like a mini hill) after crossing Godavari river (flowing across) by a small bridge. Food items, cold drinks, tea and water bottles of were served at many stalls organized in fair. I saw an interesting thing - it was a root vegetable called kandamool in Hindi (bigger in size than the regular one) which Lord Ram used to eat it during his stay here. This is one of the famous tourist spots in Nasik. It holds a significant role due to its connection with Ramayana. Lord Ram, Laxman and Sita stayed here during their 14 years of exile. 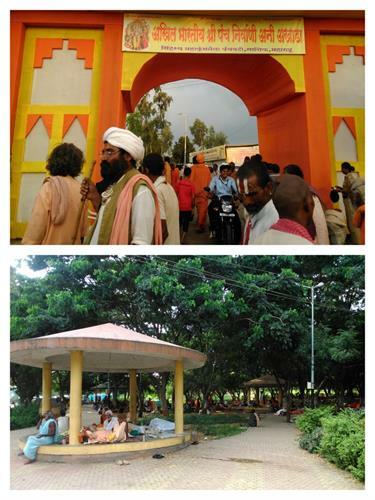 It is situated at a distance of about 10 km from railway station, well connected by road and frequented by buses and auto-rickshaws. You can drive down to here on your own vehicle too. Sufficient parking space is available. After parking your vehicle, you can explore a whole range of sightseeing of Panchvati, by walking. This area has many small temples in the narrow streets, hotels, restaurants and small shops. Residential buildings are very old. During Kumbh, devotees appear in crowd and they try drop by every temple they can. Sacred Godavari river flows through Panchvati. There are many notable places to visit within a range of walking distance. 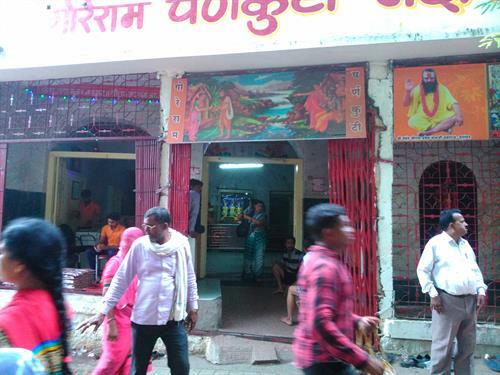 This is a very old temple dedicated to Lord Shiva, named after its founder Naroshankar Rajebahadur. It is situated on the bank of Sacred Godavari river in Panchvati. A huge bell called Naroshankar ghanta is located at center top of the gate. This is a church bell which was awarded to Naroshankar Rajebahadur after victory over Portuguese in Vasai war. It is famous for its ringing. When it rings, it is heard up to approximately 5 km. Architecture of the temple is commendable and noteworthy. Since it is an old temple, it is in chronic condition and needs renovation. It is believed that Lord Ram had bathed here during his exile period. 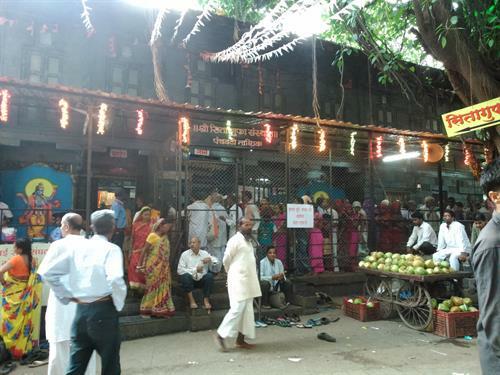 Devotees drop by here to take holy snan and also to immerse mortal remains in Ramkund. During Kumbhmela this is the centre of attraction where sages and devotees seek to visit and take holy dips which are supposed to be sanctified. On the occasion of Shahi snan during Kumbh, this place is overcrowded. This is the place where Sita lived during exile period and this was from where she was abducted by Ravana. The cave inside temple has an idol of Ram, Laxman and Sita. Visitors are allowed to enter this cave. It is very narrow and one can only go through this squatting. 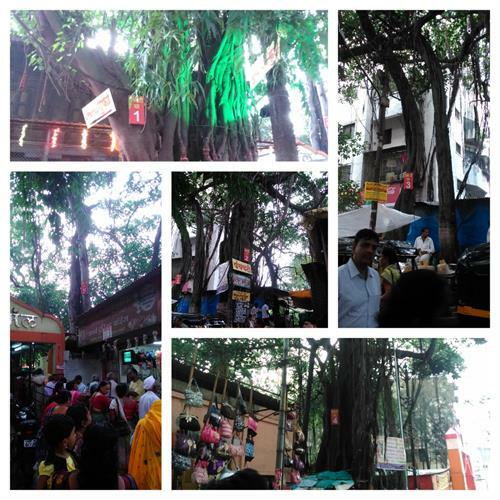 There are 5 banyan trees near to Sita Gumpha, prove the name of Panchvati. Panch means 5 and vat means banyan tree. This is dedicated to Lord Ram. This temple and statues of deities (Ram, Laxman and Sita) inside are made of black stone, hence the name Kalaram temple. After entering the main gate, there is a statue of Lord Hanuman (facing towards Ram) with 40 pillars before the entrance of temple. This is also dedicated to Lord Ram. Here temple and statues of Ram, Laxman, Sita are made of white marble, hence the name Goreram temple. This one is smaller than Kalaram temple. Situated next to Sita Gumpha. A number of security officers are appointed everywhere so that Kumbhmela goes on smoothly without any obstacle. Workers are ready to clean the area wherever they see garbage to maintain cleanliness so that it doesn't cause any disease. Medical facilities are available, with the facility of ambulance. Accommodation of sages in Sadhugram of Tapovan is ensured. Every group of sages has their own tent with all the facilities they require. Mosquito resistant gas is sprayed from time to time. Mobile charging station is available in Tapovan for visitors. Police volunteers are available for crowd management. They also help the visitors to find out the correct path. Portable toilets are available everywhere from railway station, Tapovan to Panchvati. No place is left without portable toilets, to ensure hygiene. On the day of Shahi snan, sages and devotees are instructed to go by walking from Tapovan to Ramkund. 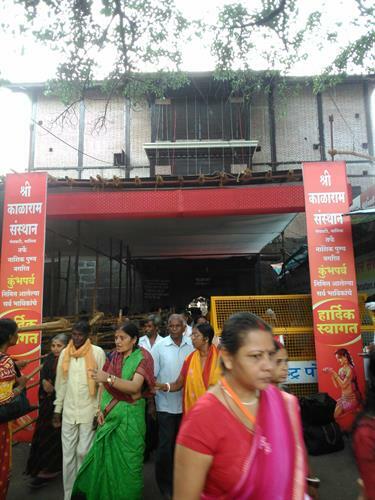 No vehicle is allowed till Ramkund, Panchvati. It balances the crowd. Distance between Tapovan and Panchvati is about 2 kms. Last year I was there in Nasik during Kumbh Mela, I lost my mobile phone and purse during Mela. Those who are planning to visit Nasik during Kumbh Mela celebration please care of your personal belongings and must take care your children.